Free Shipping Included! DE-STA-CO 206 SS Horizontal Hold Down Toggle Locking Clamp by De-Sta-Co at Tizimi Press. MPN: 206 SS. Hurry! Limited time offer. Offer valid only while supplies last. The smallest of the horizontal handle, horizontal bar clamps. Supplied with nylon spindle assembly. Flanged washers supplied with U-bar models. The smallest of the horizontal handle, horizontal bar clamps. Supplied with nylon spindle assembly. Flanged washers supplied with U-bar models. Stainless steel models supplied with stainless steel hex head spindle assembly. 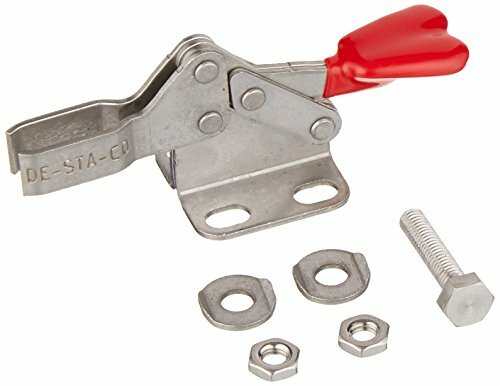 Handle grip supplied on non-stainless clamps only.